Bucharest: prepare for a FRENCH EXPRESS takeover! 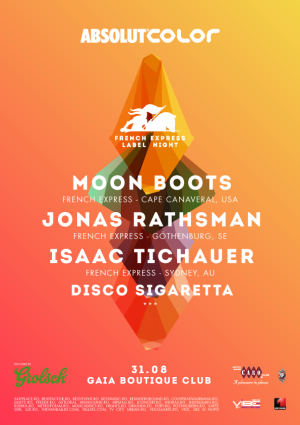 "FRENCH EXPRESS LABEL NIGHT @ Gaia" Party in Bucharest. You can get here description, reviews, address, time and details of "FRENCH EXPRESS LABEL NIGHT @ Gaia" Party in Bucharest. Visit Bucharest Tips for more Party events in Bucharest!